NWPB believes strongly in creating as much opportunity as possible for newcomers to Niagara's workforce, whether they're highly trained professionals who have recently immigrated to Canada and are looking to establish themselves in their new home community, or talented young workers just getting their start in the workforce and wanting to gain real-world experience in their field. As part of our commitment to making connections at all levels of the community, we're thrilled to be taking part in the Canada Summer Jobs program for 2018. Canada Summer Jobs provides funding to not-for-profit organizations, public-sector employers, and small businesses in order to create valuable summer job opportunities for students aged between 15 and 30 years, who are full-time students intending to return to their studies in the upcoming school year. The program supports communities across Canada in taking action on their local priorities, and NWPB is proud to be counted among Niagara's participating organizations. Through the Canada Summer Jobs program, we have recruited two bright and talented students to work with us through the summer season. The Canada Summer Job Grant has allowed me to continue my experience with Niagara Workforce Planning Board after doing an internship during the school year through Brock University. My internship allowed me to learn and grow as a student and professional, while my summer job here at NWPB has allowed me to apply the skills I learned and get practical experience in my field by working full time. As someone who will be going back to school next year, I am still figuring out my career path. Working at NWPB has allowed me to further understand different aspects of the labour market, what career(s) will someday be available to me, and what my passions are. Working at NWPB has been a meaningful experience for me because it bridges the interests I developed through my Labour Studies courses with the data analysis tools I gained from studying Political Science. It has also afforded me the opportunity to sharpen my skillset before I begin my graduate studies, while also learning about the state of the labour market and job demand in the community I call home. Having previously completed an internship at NWPB in the winter term was a critical, multi-dimensional asset to developing the foundational skills I now use on a daily basis in this position. I was introduced to the roles and responsibilities of our research team, and had the chance to develop the skills I would need to become a qualified candidate for a full-time position here. It is great to be a part of an organization that sees the value in mentoring people entering the workforce and helps to bridge the gap between academic studies and tangible skills required in the workplace. We couldn't be happier to have Jill and Melanie working with us. They represent some of the best and brightest of young workers emerging into the labour force, and they've both already made significant contributions to our research and communications outcomes. 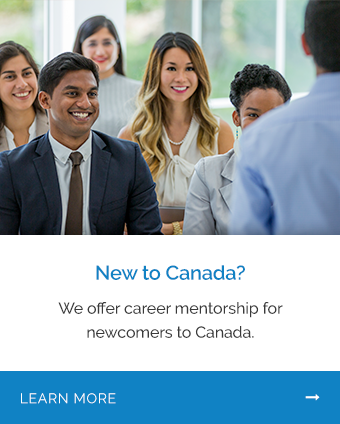 We extend our sincere thanks to the Government of Canada for providing the Canada Summer Jobs program as an opportunity for us to make this connection with members of our emerging young workforce.